So the resistors need tweaking and it looks a lot nicer in person than this photo but it works! A single chip programmable logic solution that turns the RGBI into RRGGBB to use with a 6bit resistor DAC. The brown fix is integrated as well and there is no blurring or fuzzing of the output due to pull up/down resistors and diodes. The circuit is so simple it's easy as 7 resistors, 6 (2 per colour) for the RGB and a single one for the composite sync output (inverted composite sync is also output). The chip is available as DIP and runs off 5v so no hard soldering or level conversion is needed Once I get the resistor values pinned down I will post some decent pictures of how nice the output looks. Another pic here. Dear god the camera does not pick this up well. It looks much nicer in person. The different shades of colours stand out much better on screen than on camera. Still, it works perfectly with a single GAL and 7 resistors. I declare this topic done! That is the real output on a C128 real hardware to a SCART TV. I am now looking at making a PCB to hold all the parts. So I redesigned the circuit using a better Lattice GAL. I am having a PCB made and putting S-Vid/Audio passthrough on it from the VIC (using the DIN as a source of 5v). Thats a great looking palette there Pyrofer. I will make a mental note to ask you for the exact resistor values when I can get back to dealing with my 128 again, as the circuit that I built is made up from a mix of guesswork and the resistors that I had lying about. A near perfect colour match like that would be a good move. Hah. I used "what I had handy" too. When I get the PCBs in and make up the "finished" product I will retake some photos with the 1k/470r in place. New PCB made up using 1k/470R. The picture looks awesome. The board plugs directly into the 128 and has a 15pin DType plug for the monitor cable. It looks like a VGA plug but it's still 15khz as there is no scandoubling. My BenQ monitor shows the image perfectly and plugs right into this board. 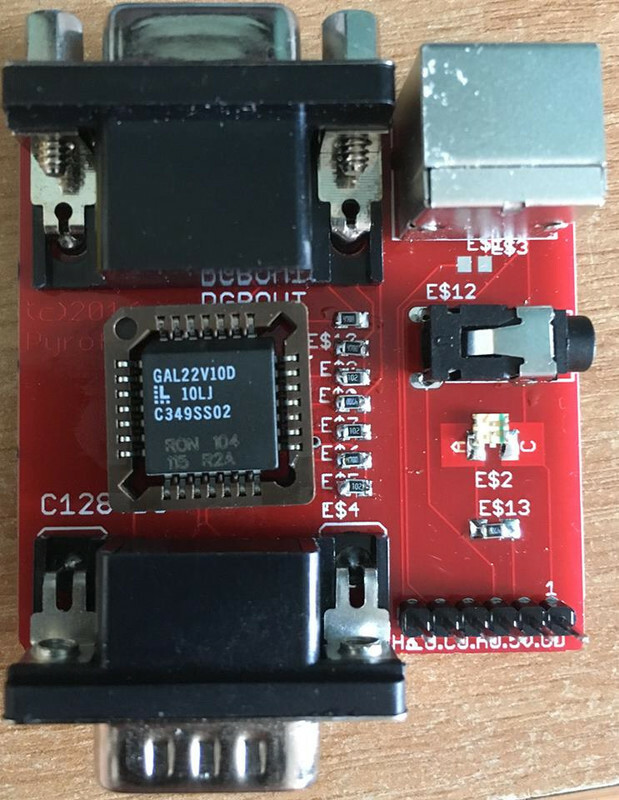 You can get SCART to VGA cables on eBay but I have no idea of the pinout. 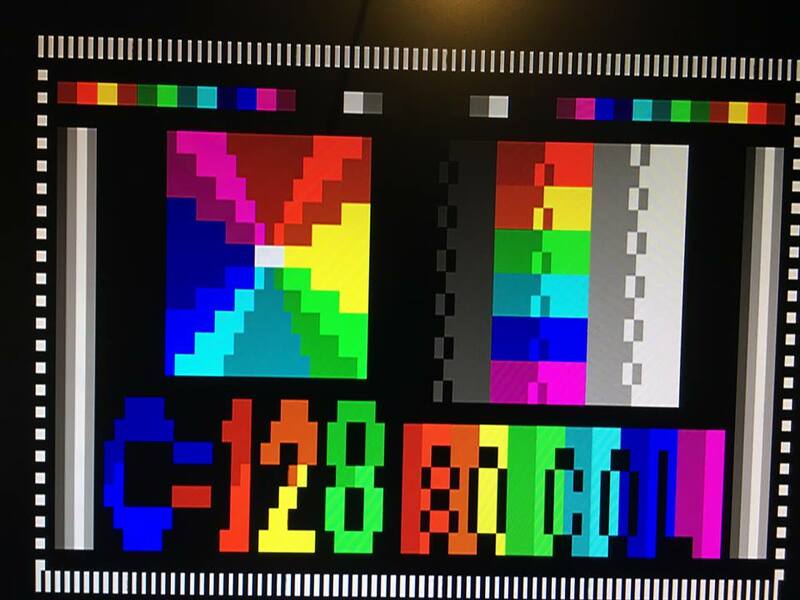 Here is a photo of it showing a testcard on my BenQ VGA (does 15khz) monitor. was bedeutet diese Kosten für Sie, für mich zu machen? My solder skills are terrible. Can you make this for me? Funny you should say that. I have 10 PCBs I am assembling. I think quite a few are spoken for via my FB post, but in theory yes. I think they will retail for £30 when I account for the full BOM and assembly time. I posted in both the 128 Enthusiasts and 64/128 groups if you are a member on either.